Are you one of the many pet lovers living in Fort Collins? Or maybe you are thinking of getting a pet soon. 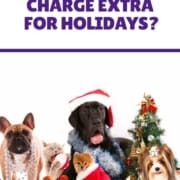 Either way, eventually you will need a Pet Sitter, Dog Walker, Cat Sitter, Vet, Dog Trainer, Groomer, Rescue or Pet Shop. But how do you find the best solution for you and your pets? We have put together a list of resources for pet lovers to make this easier for you! Choosing the right pet sitter for your pet can be difficult. You want to ensure your sitter is correct for your household and your pets. 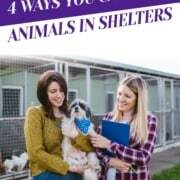 Download our printable checklist on Hiring a Pet Sitter or Dog Walker to help in your search. To learn more about our pet sitters take a look at our About Us page. To learn about our services, visit our Services page. If you have a pet sitter and want to make sure you are prepared for your trip, download our Preparing for Your Pet Sitter Checklist. Dog walkers are great for dog who have a lot of energy and people who do not have enough time. A dog walk can be nice for a day when you work late, or just cannot get away to take out your pup. If you want to learn about the Benefits of Regular Dog Walks, read our recent article. If you want to learn about our dog walking services, take a look at our services page. Fort Collins is extremely animal friendly, and thus there are a variety of pet supply stores to choose from. We are a huge fan of shopping local whenever possible, and we believe locally-owned stores tend to have better educated employees to give you advice. A good pet supply store should be able to offer suggestions on products based on your pet’s health needs. Ask some questions and if you do not feel comfortable then try a different store. As such an animal friendly city, Fort Collins has a wide variety of rescues. It would be impossible to list them all here, but we wanted to provide you the groups that are large and most likely to be able to meet your needs. Whether you want to adopt a new pet or just have questions, these rescues are all great! Larimer Humane Society – General shelter for Larimer County. They also house animal control, pet licensing and concerns about rabid wildlife. Animal House Rescue & Grooming – Dog only rescue facility. They have grooming services to support the rescue. Fort Collins Cat Rescue & Spay/Neuter Clinic – Cat only rescue facility. They also host vaccination and spay/neuter clinics. If one of these organizations cannot answer your questions, they will refer you to someone who can. If you need help choosing your new veterinarian, read our recent article 5 Tips to Picking a Veterinarian You Love. 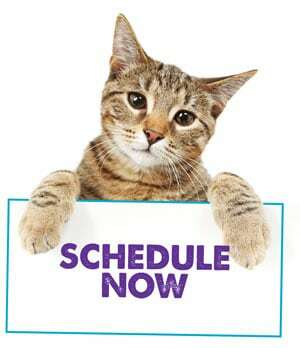 When you have a pet emergency, you want to make sure to get the best care for your animal, no matter what time of day! Emergency vet clinics are open 24/7, 365 days a year and can be a lifesaver when you need one. It is important to know where your closest clinic is so you know where to go right away. 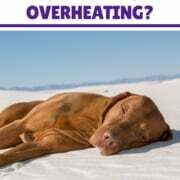 To see the full list with all of the Fort Collins emergency vet clinics, as well as signs of a pet emergency, read our recent article Fort Collins Emergency Vet Clinics. All dogs can use a little training, whether is be the normal sit and stay, or learning how to stop your puppy from chewing on your shoes. Plus training classes can be fun for you and your dog to have some bonding time! Dogs are smart animals and need to use their brains to keep them from getting bored. 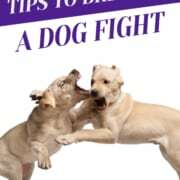 When choosing a dog trainer you want to pick one that works with your dog in a positive and fear-free manner. If you are coming to Fort Collins to visit or if you find yourself needing to stay in a hotel for awhile, you want to have a hotel that is friendly for your dog. We have made a list of hotels that are dog friendly and wonderful for you! If you are visiting Fort Collins and need to leave your dog while you go out for an activity, consider having a pet sitter come stay in your hotel. This will give your dog company and make sure she does not get in any trouble while you are gone. We provide extended stays for these types of trips which you can learn about in our services. A good haircut is important to the health and happiness of your dog. Considerate groomers can make the grooming process as easy as possible. If you would like to read more about these groomers and get tips on how to pick the perfect groomer, read our recent article 5 Places for Dog Grooming in Fort Collins. If your dog does not need all the trimmings, it can sometimes be easier to clean them up yourself. It is wonderful to go to a self-service dog wash where you can use their space to get your pup clean without making a mess of your bathroom. To learn more about costs of using a self service dog wash, read our recent article How Much Does it Cost to Use a Self Service Dog Wash? When you are traveling you can either hire a pet sitter or board your cat in a cattery. 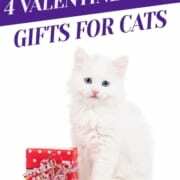 There are advantages of each, and if you decide to board your cat there are a variety of options. If you are considering hiring a pet sitter, look at advantages of cat sitting and take a look at our services. When leaving town you can either hire a pet sitter or board your dog in a kennel. To read more about these dog boarding kennels, take a look at our recent article Top 5 Places to Board Your Dog in Fort Collins. If you are considering pet sitting, read our recent article Why Should I Hire a Dog Sitter, and look at our services. Dog daycare can be great for well socialized dogs who enjoy the company of other dogs. If you are unsure if daycare is a good option, read our recent article Doggy Daycare vs Dog Walker. If you are thinking about using a dog walker take a look at our services. During nice weather it can be a bonus to be able to take your dog with you when you go out to eat. In Fort Collins we have many, many food options to choose from, so you might as well pick one where you can bring your pup! To read more about these restaurants take a look at our recent article Top 5 Pet Friendly Restaurants in Fort Collins. 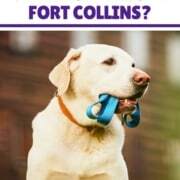 In Fort Collins, folks love their dogs and we want them to have as much fun as possible! 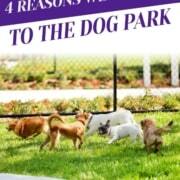 For well-socialized dogs, that can mean a trip to the dog park is a favorite activity. To see the City of Fort Collins rules for dog parks, visit their website. Hiking is one of the most popular hobbies in Colorado, for good reason. The trails are beautiful all year round and there are many where you can bring your furry friend with you. To see all the details about these trails, read our recent article Best Fort Collins Dog Trails. 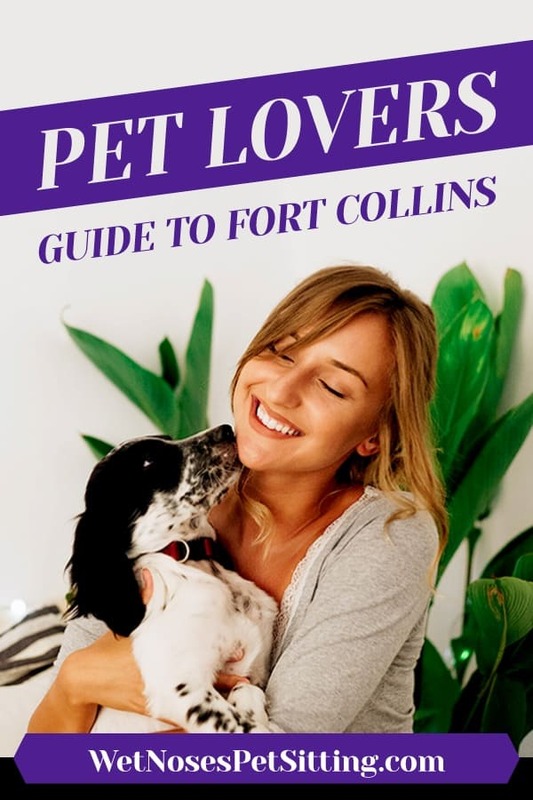 Do you have a resource you think should be added to the Pet Lovers Guide to Fort Collins? Let us know via our contact form so we can check it out! 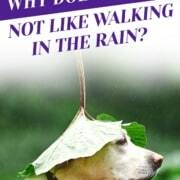 Why Does My Dog Not Like Walking In The Rain? Best Dog and Cat Quotes Animal Idioms to Brighten Up Your Day!